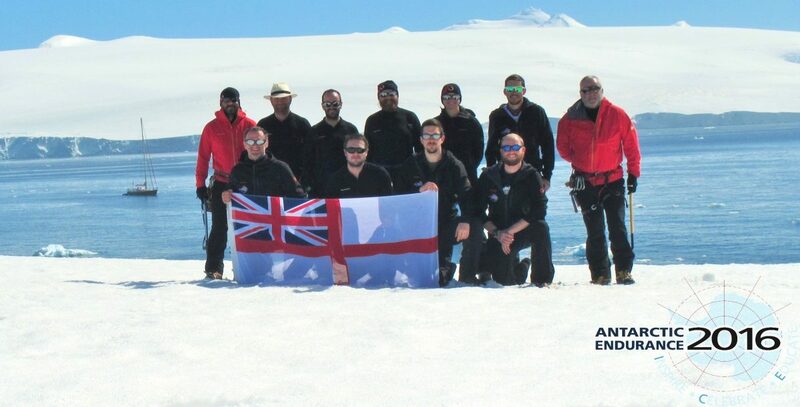 If yesterday marked our formal passage into Antarctic waters, today we began to understand the privilege we now enjoy. The first iceberg was sighted at about 5 miles range at 0610 in the morning and heralded the beginning of a truly remarkable day in nature’s Ice gallery. Initially thick fog meant a heavy reliance on radar to identify the huge floating bergs of ancient glacial Ice. The fog leant a certain ghostly feel to the early watches and strained the nerves a little, particularly as we started to pick up much smaller ‘bergy’ bits of ice emerging from the gloom at mere hundreds of meters, requiring constant vigilance and swift course changes. As the morning morphed into the afternoon the wind picked up the pace, driving us remorselessly down towards the South Shetland Islands and the far side of our dash across Drake Passage. Approaching the NE corner of King George Island with a sheltered anchorage just 30 miles away and the red contacts on the radar screen multiplying alarmingly, somewhere just beyond our sight and concealed by a thick damp fog, an army of icebergs gathered across our path. It wasn’t long before the vanguard was revealed to us in the form of a phalanx of bergs emerging out of the moisture laden air. Almost in response to a silent cue the fog dissipated and nature threw open the doors to an extraordinary gallery of ice sculptures, the horizon filling with towering masses of ice, of every conceivable shape and size, with a stiffening 30kt wind on our beam we raced through the labyrinth of bergs with one masterpiece after another being revealed in a seemingly endless procession. The grand scale of these natural ice sculptures dwarfed Xplore amongst stadium sized blocks of chiselled blue ice. In truth, I lack the skill to capture the majesty of this afternoons’ private viewing of natures ice gallery. Suffice it to say, we are a privileged few to have been afforded the opportunity. As ever the brief night draws in, the bergs recede into the gloom once more and we seek out a sheltered anchorage in the aptly named Admiralty Bay on the southern aspect of King George Island. Local advice from the isolated Polish research base perched at the entrance to the bay suggests the western side of Martel Inlet, and as midnight approaches we feel our way up the ice shrouded inlet in search of a safe anchorage below the glacial headwall in which to weather the gale force winds anticipated in the morning. What has been a special day all round is capped by Matt Hoey and his own culinary masterpiece; Home made mozzarella stuffed meatballs and pasta followed by nutella drenched pancakes……who says you have to eat badly on an expedition……? !